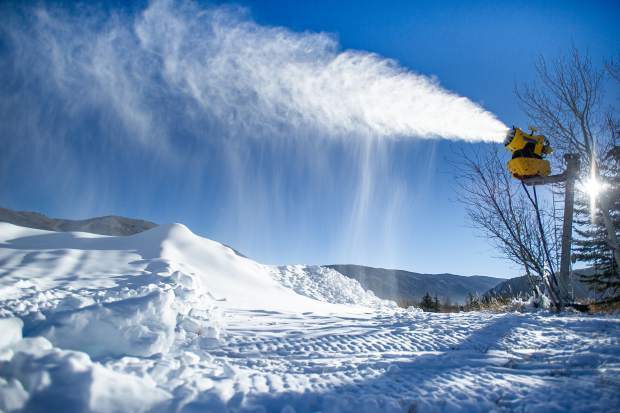 Aspen Mountain snowmaker Devin Pool adjusts a snow gun on Nov. 28. Sunrise on Aspen Mountain seen from Ruthie's Run on Wednesday morning. 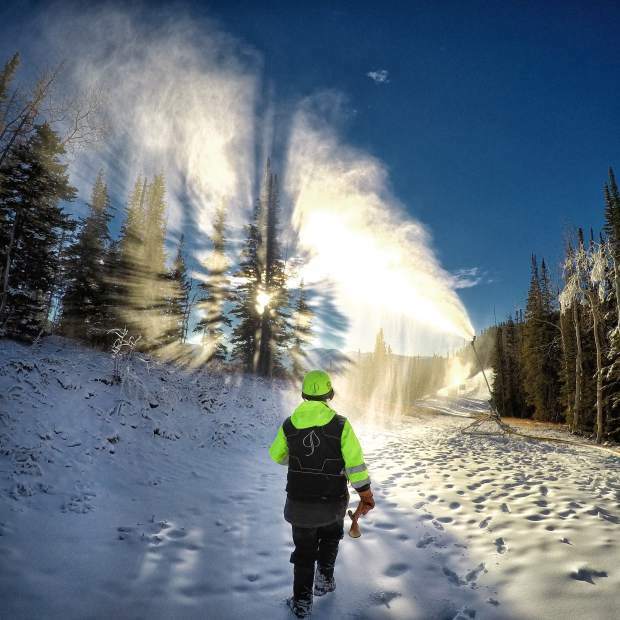 Aspen Mountain snowmaker Jay Clapper on Nov. 28. 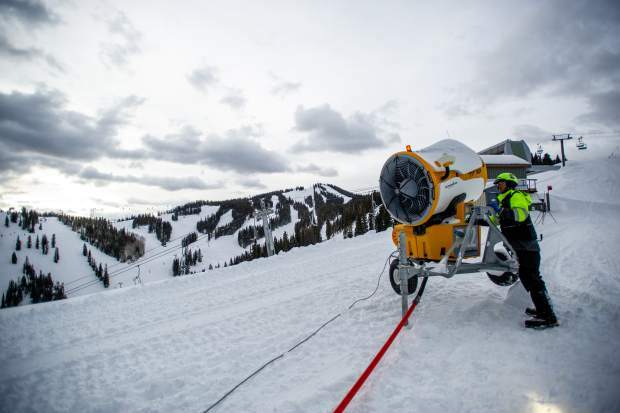 The past two ski seasons started as polar opposites in Aspen, but any way you slice it, the snowmaking crew play a key role in getting skiers and riders on their boards. In 2017-18, the season started with one ribbon of man-made snow top-to-bottom on Aspen Mountain because of a drought. This season, the snowmaking crew complemented Mother Nature to help get the ski area open five days early. 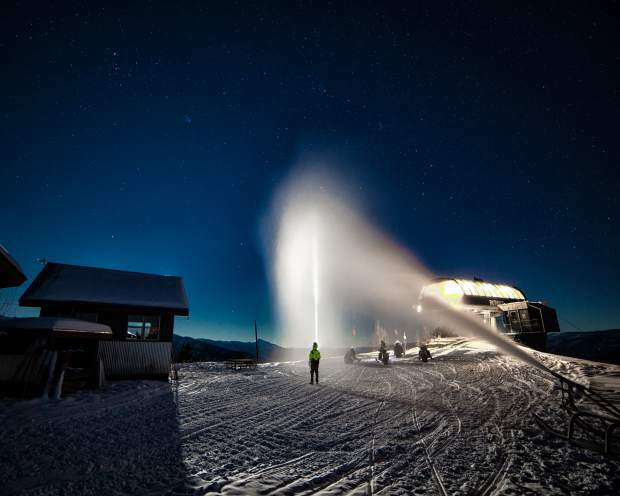 This season, cold temperatures allowed Aspen Skiing Co. to meet its perennial goal of firing up the snowmaking guns on Halloween night. Temperatures have stayed cold and mounds of snow were made for the snowcat groomers to spread out. Last season was one most skiers, riders and Skico employees would just as soon forget. An unusually warm fall didn’t allow snowmakers to even think of flipping the switches on their machines until two weeks later than desired. 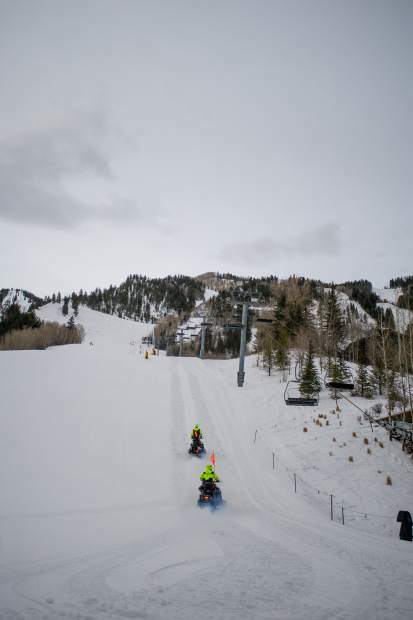 Gordon Turner, a controller with the Aspen Mountain snowmaking crew, said they had to dream up tasks at the start of last season to keep workers busy. The floor at the snowmaking headquarters building on Aspen Mountain, for example, was the cleanest ever from multiple nights of mopping. They were finally able to start making snow Nov. 14, two weeks beyond the target date. 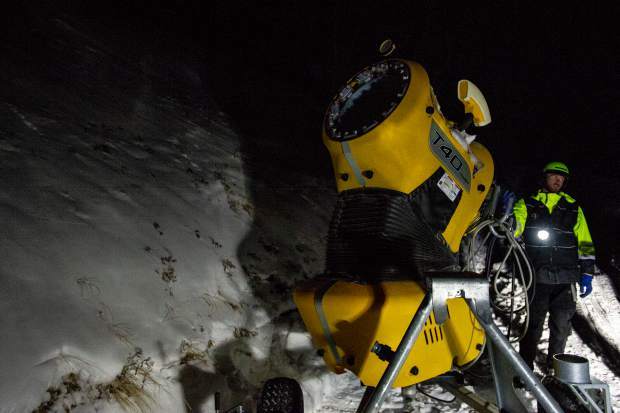 Katie Ertl, Skico’s senior vice president of mountain operations, credited the Aspen Mountain snowmaking crew for being both experienced and willing to try new technologies. Their knowledge and ability to make snow efficiently during short windows allowed Aspen Mountain to open on time last season. 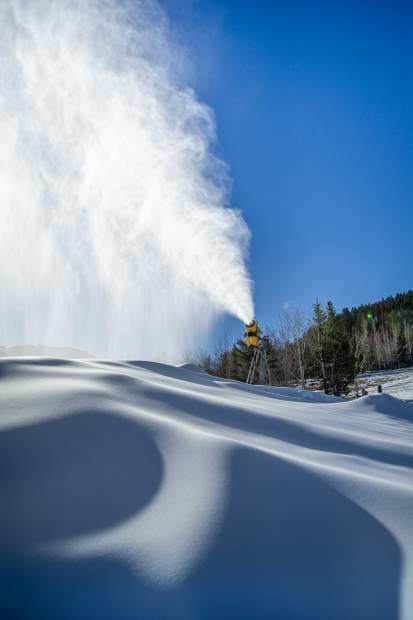 “When we only had 10 hours of cold temperatures, they were able to start up and shut down quickly, allowing for maximum snowmaking in short time frames,” Ertl said. Aspen Mountain has 22 snowmakers and a manager divided between the swing shift from noon to midnight and the grave shift from midnight to noon. Their goal is to make as much snow as quickly and efficiently as possible starting on Halloween. They oversee an infrastructure of pumping stations, compressors, reservoirs, hydrants and snow guns spread out across the lower two thirds of the mountain. The water is purchased from the city of Aspen. There is a great deal of collaboration between the snowmaking crew and groomers. A gun will run until it creates enough snow so that the groomers can cover an area well enough. Once the drivers are satisfied, they will alert the snowmaking supervisors and the crew will move the guns to different hydrants. Turner and other controllers play a key role orchestrating the crews’ movements and overseeing the snowmaking infrastructure from a high-tech headquarters. Turner’s office features a bank of computer screens that allow him to track activity, control the pumps and run the automated snow guns. Turner uses a radio to delegate tasks to the snowmakers in the field, who typically team up in pairs. The Aspen Mountain snowmaking crew had included women in the past but it’s currently all men. 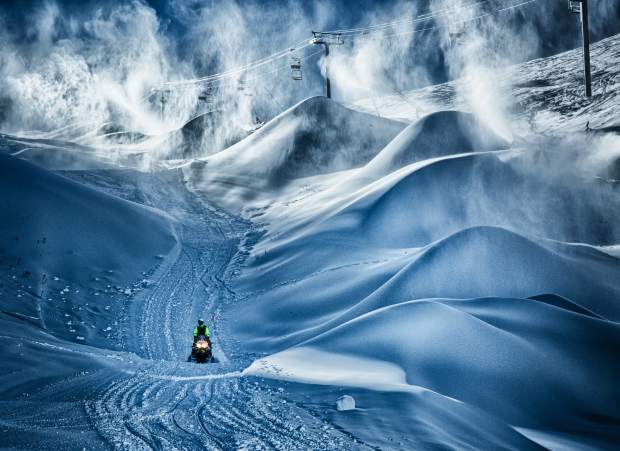 Turner can monitor the location of snowmakers via GPS units on their snowmobiles — a change the company made after a snowmaker suffered an injury on his sled and died at Snowmass in 2008. 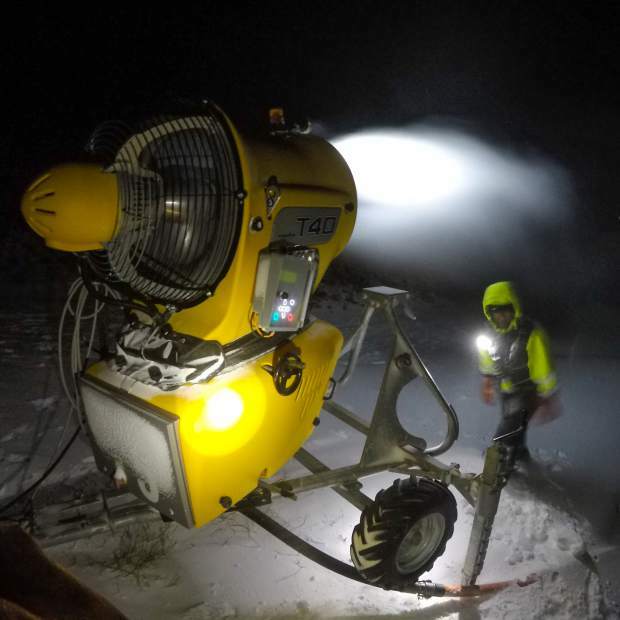 While snowmakers are scheduled four shifts of 12 hours per week, many crewmembers work extra days. As a member of the grave shift, Pool said he finds it easier to work extra days and stay on a regular schedule. “I just finished working 25 nights in a row, 84 hours a week,” he said Saturday. The snowmaking priority is different on seasons that don’t start with World Cup ski racing. In those seasons, the first priority is the racecourses. Without racing, the priority is to establish top-to-bottom coverage as soon as possible. Little Nell gets covered at the base and then crews work uphill. The Aspen Mountain crew came within a whisker of finishing in November, which would have been a first in the modern snowmaking era. The last three nights of November were too warm for snowmaking so the work is stretching into December. Currently, the snowmaking system extends up to Deer Park, about two-thirds up the mountain. 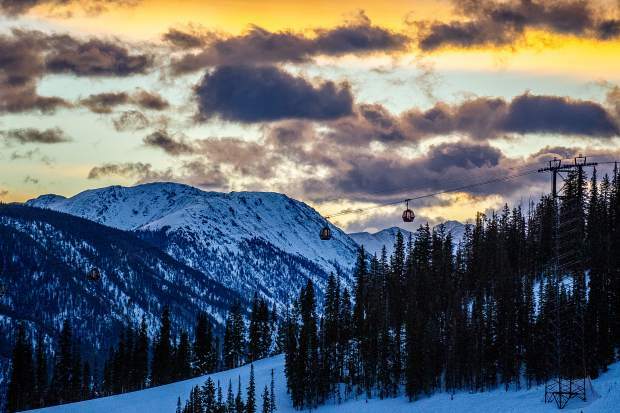 The U.S. Forest Service approved Skico’s application Nov. 28 to expand the snowmaking to an additional 53 acres at the mountaintop. Skico’s goal is to add coverage on the One and Two Leaf and Silver Bell trails for next season to ensure coverage to the top. Additional terrain will be added the following season. The system gets more efficient every year. While Skico buys many of the snowmaking guns it also leases them from manufacturers so it can keep pace with innovations. Automated infrastructure and guns were placed along Little Nell two summers ago and eight more were added farther up the mountain in Spar Gulch and Deer Park this summer. Sensors in the guns detect the temperature and automatically turn on the water when conditions are right. 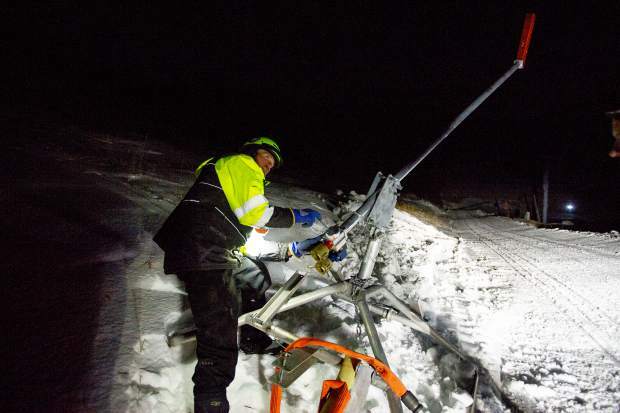 They adjust water levels as the temperature changes, something the snowmaking crew must do by hand with other guns. Skico runs a fleet of fan, stick and sled guns. The fan guns are true to their name. They look like a large fan but in this case they are capable of blowing out snow to great distances at 65 mph, according to Clapper. The stick or tower guns look like a water pipe with a nozzle at the end protruding 15 feet into the air. They place snow more precisely. Pump houses are strategically placed around the mountain to move water uphill to the hydrants and boost the flow rate to the high level necessary for snowmaking. Automation changes what snowmakers do, but it hasn’t reduced the need for workers. The automated parts of the system require a sophisticated electronics network that gets affected by loose or broken wiring. Snowmakers spend a lot of time troubleshooting. There is still manual equipment in Copper, all of Ruthie’s and all the Lift 1A side. Crewmembers regularly need to adjust water levels by hand as temperatures change. Snowmakers use a “wet bulb” reading that factors in air temperature and humidity to determine when to make snow. Colder temperatures are ideal because a higher amount of gallons of water per hour can be used. Like with the high-tech equipment, a lot of time is required for troubleshooting with the manual equipment. The job seems to get into the blood of many of the crew. The Aspen Mountain snowmaking crew has several veterans of between 10 and 20 years, along with Clapper at 30 years. 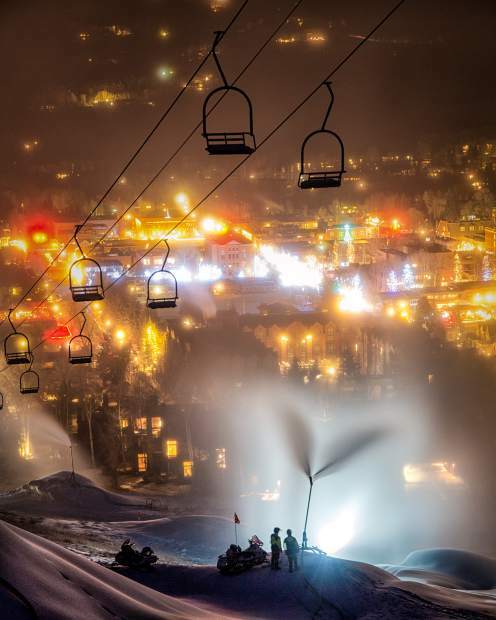 The snowmakers have dazzling view of the nightlights of Aspen while they whiz around the mountain on snowmobiles. 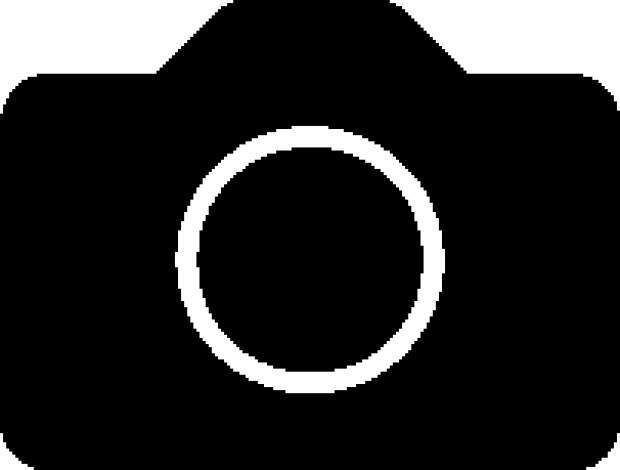 They often see fox, bear, deer and other wildlife roaming the slopes. For Pool, the biggest appeal of the job is achieving the goal of providing enough coverage for skiing.